DO YOU WANT TO GET INVOLVED IN YOUR LOCAL NATURE RESERVE AND HAVE A SAY ABOUT WHAT IMPROVEMENTS COULD BE MADE? 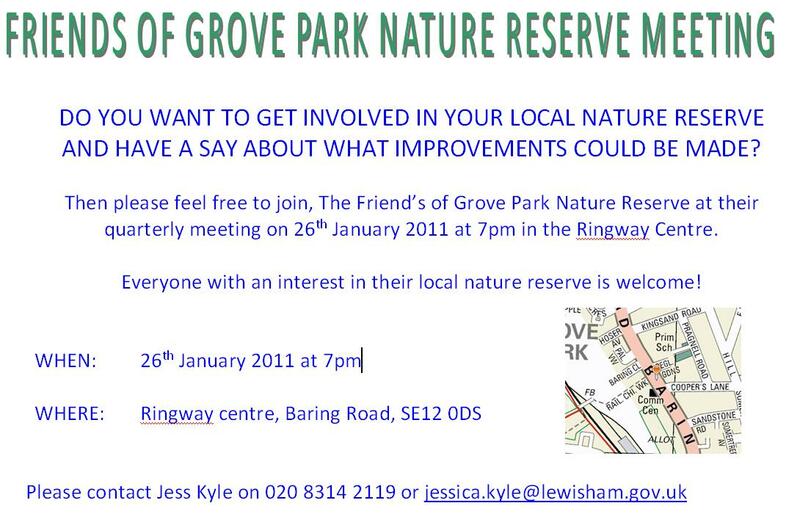 Then please feel free to join, The Friend’s of Grove Park Nature Reserve at their quarterly meeting on 26th January 2011 at 7pm in the Ringway Centre. Everyone with an interest in their local nature reserve is welcome!